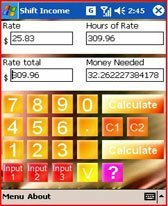 income freeware downloads for Windows Mobile Phone. 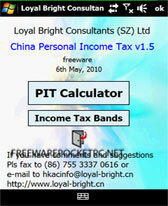 Summary: Enter your income and deductions and PIT will calculate your personal income tax. 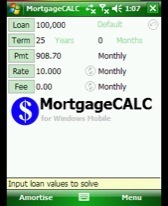 Summary: A finance application to help with your monthly budget. 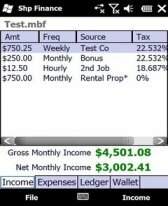 Stores income sources, expenses, account ledger, and a wallet to save your sensitive information like credit cards and account numbers. 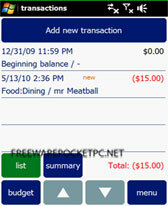 Summary: eazyMoney is a free windows mobile software for managing individual income and expenses on pocket PC.